!!! SPORTY WITH LEATHER AND SUNROOF !!! An incredible value priced well below NADA's Suggested Retail as well as the actual Market Average for same model year vehicles. Compare condition, mileage, equipment and price and you will realize it will be hard to find a better overall package for your money. 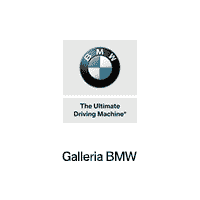 Great financing and extended warranties available thru BMW Financial Services. Silver 2013 Ford Fusion SE FWD 6-Speed EcoBoost 1.6L I4 GTDi DOHC Turbocharged VCT LOW Miles! !, Fusion SE, 4D Sedan, EcoBoost 1.6L I4 GTDi DOHC Turbocharged VCT, 6-Speed, FWD, Ingot Silver, 4-Wheel Disc Brakes, ABS brakes, Alloy wheels, AM/FM radio: SiriusXM, AM/FM Stereo w/MP3/CD Player, Brake assist, CD player, Dual front impact airbags, Electrochromic Exterior Mirrors, Electrochromic Rear-View Mirror, Electronic Stability Control, Equipment Group 205B, Fog Lamps, Four wheel independent suspension, Front Bucket Seats, Heated door mirrors, Heated Leather Front Bucket Seats, Leather Wrapped Gearshift Knob, Leather-Wrapped Steering Wheel, Luxury Package, Moonroof, MyFord Touch w/SYNC, Navigation System, Panic alarm, Power door mirrors, Power driver seat, Rear Video Camera, Remote keyless entry, Security system, Speed control, Speed-sensing steering, Speed-Sensitive Wipers, Steering wheel mounted audio controls, Telescoping steering wheel, Tilt steering wheel, Traction control, Turn signal indicator mirrors, Universal Garage Door Opener. Odometer is 16052 miles below market average!